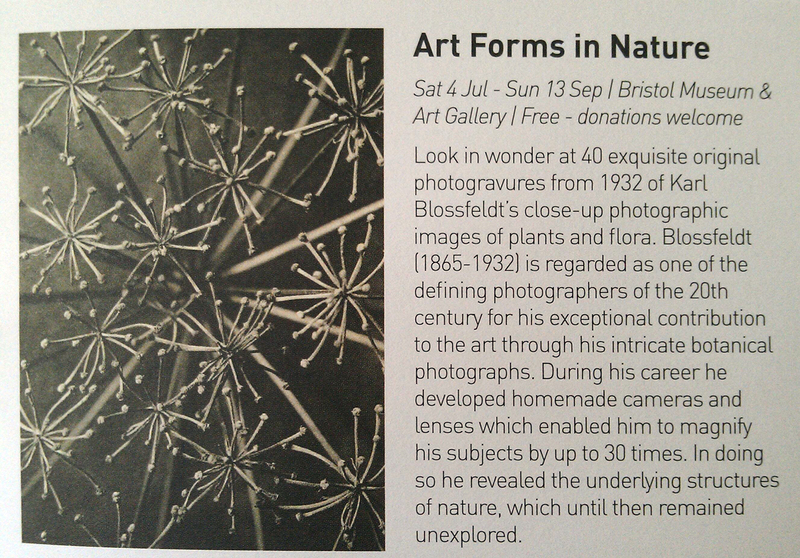 There were one or two references to this in the exhibition (see photos above) and the theme of formal qualities resonated well with the arresting Karl Blossfeld photogravures of natural forms from the 1930s also on display upstairs in the Museum, until Sunday 13th September – no photography allowed but here’s some info and a picture from the flyer to give an idea. And yet another exhibit at the same venue is Do Ho Suh’s ‘New York City Apartment Corridor / Ground Floor Plus Staircase’. I’d seen photos of it and read a little and admit to being rather dismissive, but to experience it was something of a revelation – it’s like walking through a 3D version of an architectural diagram, oddly lifting to the mood as you pass transparent stairs, reconstructions of light switches and door hinges and perfectly materialised banister rails all made in red and pale green net. On until 27th September. Queen Square was preparing to host a giant Arachnid for Arcadia (yet to breathe fire, that happens this weekend) as I passed through en route to the only bit of the Puppet Festival I’ve managed to catch (on until 6th September) – a historic tableau in the old Control Room of the Redcliffe Bascule Bridge by the Quay Brothers – ‘Homage to the framed perspective of an abridged conversation between the painters Sassetta and Uccello and the mystical occurrence that happened before your arrival’; a great fantasy moment captured in perspective modelling – easy to see but ignored by all passers by while I was there over several minutes. This piece of suspended animation is there until 18th September. 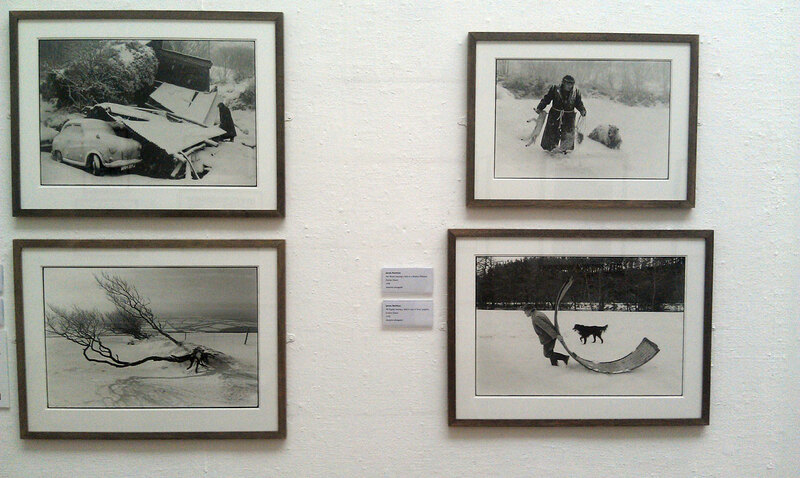 Yesterday’s Bristol visit was to the RWA where three/four exhibitions complement one another beautifully. 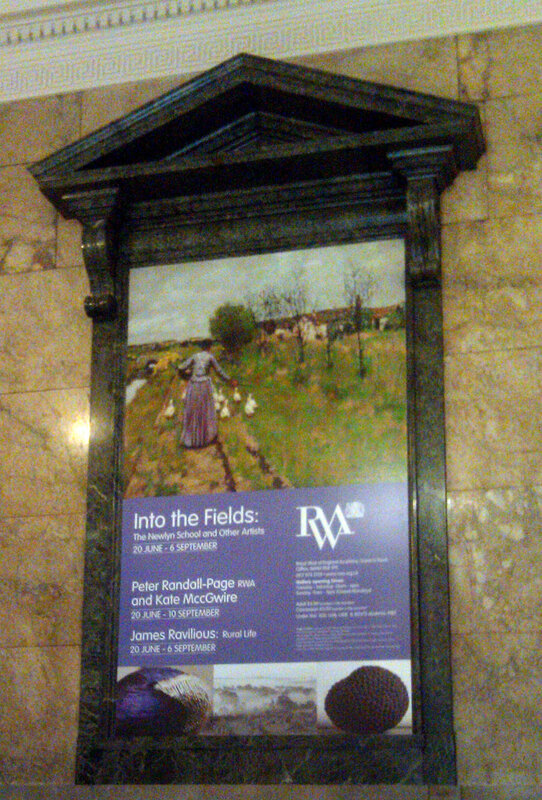 The Newlyn School, familiar to me mostly through the Stanhope Forbes’ sea pictures, were here shown heading ‘Into the fields’ – during the late 19th to early 20th C (no photography allowed in this gallery, see image on poster above). Some vigorous oil sketches of china clay workings by Laura Knight, and more rural themed, large but also intimate paintings of people at work in fields, gardens, orchards and woods or landscapes with that distinctive Cornish light. On until 6th September. Settled on the floor in the RWA’s main gallery were some dark, cast forms (so hard not to touch!) by Peter Randall Page – like giant seed pods with strong echoes of the Karl Blossfeld images just down the road. Nicely balanced by his vast ink drawings and 2D ceramic works on the walls and a fine screen, behind which resides Kate MccGwire’s curious realm of feather constructions that are ‘both compelling and repelling, beautiful and grotesque’. Feathers are the ultimate expression of lightness and their function of carrying birds through the air is somehow challenged by the artist who has created sombre but alluring objects that have a sense of immense gravity; extraordinary and really worth a look – more about these here, on until 10th September. 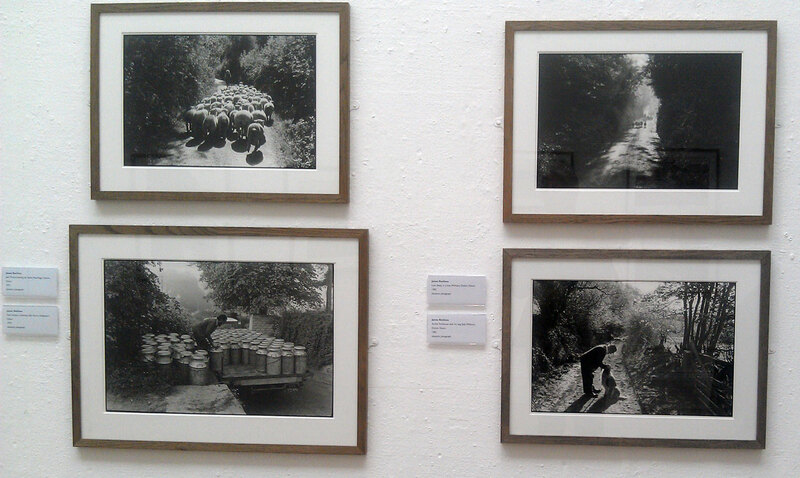 Finally, an old favourite of mine, photographer James Ravillious – ‘Rural Life’ is on until 6th September. Just as the Newlyn School painters were recording largely pre-industrial aspects of the landscape James Ravillious used his camera to capture an agricultural way of life in the 1970s and 1980s that he could see was beginning to disappear. There’s a 30 minute film made in 2007, eight years after his early death, where some of the people he’d photographed nearly two decades earlier are interviewed; strong characters, (eg Olive Bennett and her Red Devon Cows) now aged, but still immersed in thoroughly rural activities with a sequence of Olive plucking a chicken that resonates with the Kate MccGwire work in the adjacent gallery – where does she get all those feathers from? 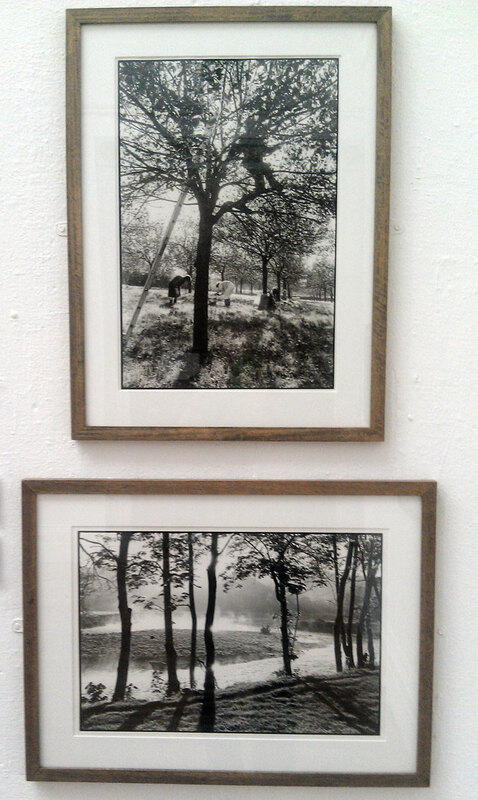 Many of these photographs were familiar from an exhibition at the now closed Royal Photographic Society in Bath some years ago but it’s great to see these original prints again and appreciate his eye for composition, the strong graphic arrangement he encounters and frames in the landscapes and his ability to capture and control light and shade. James was only 3 when his well known father Eric Ravillious died; Eric’s watercolour’s had excellent exposure this summer in London at the Dulwich Picture Gallery (a wistfully lovely show curated by Bristol based James Russell) and I can’t help but sense the father’s influence on his son’s vision, especially in Eric’s design and printed work – alongside some genetic predisposition. Other art/cultural trips to Bristol this year have included another RWA exhibition on drawing; Luke Jerram’s ‘Withdrawn’ – stranded boats in Leigh Woods and the launch of Photo Bristol in May and earlier in the year the ‘Fog Bridge’ in the Harbour (photo below). It’s been charming seeing flocks of children (and adults) being amused by the elaborately decorated and punningly titled Shawn the ‘Sheeps’ across the city – they’ve been welcomed with great affection and will be missed. Maddeningly and unbelievably I missed the whales in Millennium Square, heard good things about them but, still to see until mid November, local/international artist Richard Long’s Time and Space at Arnolfini, and I’m looking forward to next week’s promenade performance of Stick House that takes place in the tunnels under the Passenger Shed, a Brunel building at Temple Meads Railway Station. Good to have such diverse offerings a short journey from my doorstep. This entry was posted in Inspirations and stimulations and tagged Bristol Museum & Art Gallery, Eric Ravillious, hogarth, James Ravillious, Kate MccGuire, Newlyn School, Peter Randall-Page, RWA. Bookmark the permalink.